An exciting opportunity to educate children on the benefits of trees to the earth’s life cycle and the sustainability of paper-based packaging in the environment. 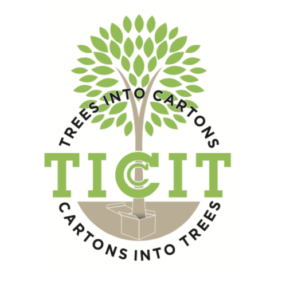 TICCIT (pronounced tick-it) is an educational programme that is all about trees, sustainability and the environment – and is incredibly worthwhile for the community, our future generations and the carton industry. The programme (Trees Into Cartons, Cartons Into Trees) was launched by the Paperboard Packaging Council in America and has proved to be a great success, with over 100,000 children taking part in the programme to date. Following a trial run of the programme in the UK and the Netherlands, the TICCIT programme has now launched Europe-wide by Pro Carton and BPIF Cartons in the UK. The TICCIT programme involves teaching school children about trees, recycling and paper, then assisting each of them with planting a tree sapling inside a carton, which they then plant out at home. The current programme is aimed primarily at kids between the ages of 8 and 11. The success of the TICCIT programme relies on member companies of BPIF Cartons taking ownership of the programme by partnering with their local schools. However, if there are any other companies who have ties with local schools and would like to participate in the project please send an email to csummersby@alexir.co.uk. All support materials are free and available for download here. As a trusted trade association for the UK carton industry, BPIF Cartons connects its members together, promotes the unique commercial and environmental advantages of cartonboard and represents the sector to Government, agencies and the general public. The General Committee is formed of representatives from both the large international groups and the local SMEs to give a balanced approach. The TICCIT project is being driven by the Marketing Committee of BPIF Cartons with the support of Jon Clark, General Manager and Robert Davison, President and also Chairman of the Alexir Partnership. Robert Davison, President BPIF Cartons. Receiving a lifetime achievement for his contribution to the Print industry. In his role at the Alexir Partnership both innovation and sustainability have always been close to Robert’s heart and consequently Alexir is recognised in the carton industry for being at the forefront of food packaging for a sustainable planet.